During data transfer devices can work either in master or in Slave mode. The source of synchronization is the system clock, which is generated by the master. The SPI module allows one or more slave devices to be connected to a single master device via the same bus. The SPI module can be configured to operate using two, three or four pins. In the 3-pin mode, the Slave select line is not used. In the 2-pin mode, both the MOSI and /SS lines are not used. Both transmitter and receiver provides a buffer in the driver which transmits and receives data to/from the hardware. 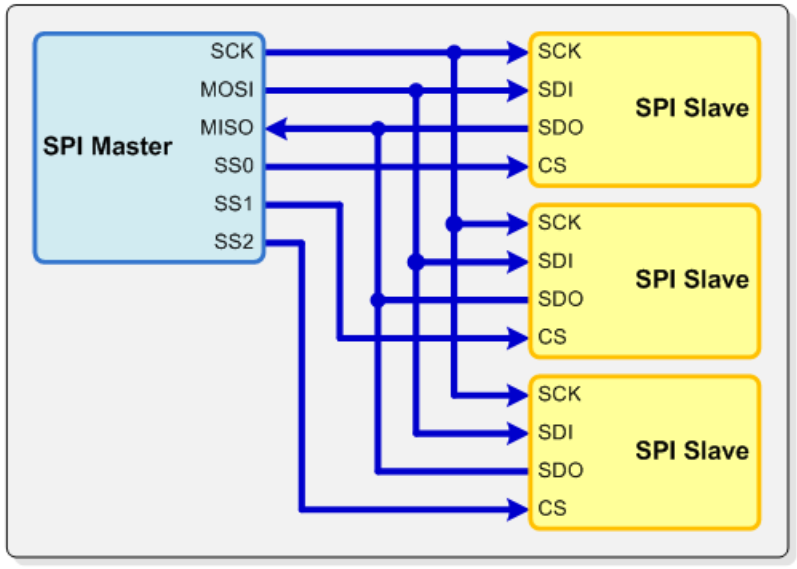 The SPI driver provides a set of interfaces to perform the read and the write.